Visiting author Sarah Prager met with Encounters students in the library after speaking to the entire school in Chapel this morning. Her two-day visit involved several programs, including a reading from her soon-to-be released book, Queer There and Everywhere, Published by HarperCollins and due out in May. Thank you Sarah for a wonderful visit! Explicating during the last 2 weeks of term? 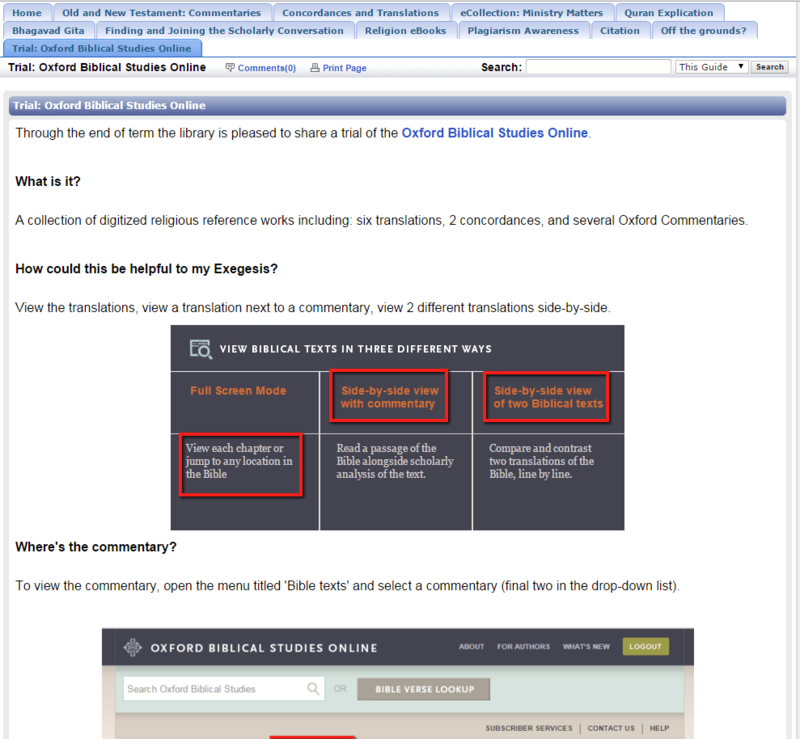 The Oxford Biblical Studies Online offers side-by-side commentary and Biblical text. (Does it up the database’s credibility to know it was accessed 1,200 times by last term’s 40+ Encounters students?). To delve further into the scholarly conversation consider JSTOR and the library’s collections of academic eBooks. More details and search strategies in the Encounters research guide (accessed 1,600 times by last term’s 40+ Encounters students). Home page:Oxford Biblical Studies Online. Oxford U. Press. 16 May 2016. Web. Great to see you this week and last! I’m so glad you like the digital concordances in the new Oxford Biblical Studies Online. And thanks for playing the Kahoots game! The Encounters research guide has a new tab describing our *new* till-the-end of term trial to the Oxford Biblical Studies digital collection. What’s in there? Translations, commentary, concordance (& general reference articles, maps and images). Tell me what you think? Worth adding to the library’s digital fleet (I think so.)? Here is the direct link to your research guide. Thanks for the excellent analogies and helpful search suggestions. I love Lily’s ’16 analogy comparing a concordance to the Control + F feature for the Bible. Thanks Rita ’16 for suggesting we search JSTOR for our specific biblical passage.